Collection of three parts of the famous series of action RPG action games by BioWare studio, which tell the adventures of commander Shepard. The hero fights a mysterious race of Harvesters that threatens the entire galaxy. In order to complete such a difficult mission it is necessary to gather a trusted team and convince other inhabitants of known planetary systems to be right. A third installment in the science fiction series created by BioWare, which is a combination of action RPG with a third-person shooter. 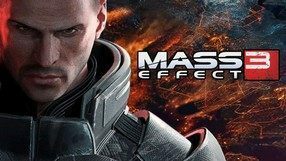 The title is the culmination of the epic Mass Effect trilogy, completing the story of Commander Shepard and his war against the Reapers. The action begins as the protagonist is about to be summoned to a hearing concerning the aftermath of his last assignment. Shepard's testimony is interrupted by the very same invasion he desperately fought to prevent. 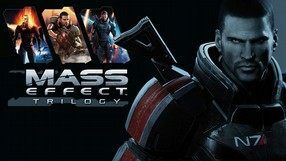 Being the only person possessing both the reputation and the experience of successfully fighting the Reapers, the protagonist starts a race against the clock to unite the forces of the whole galaxy against them. 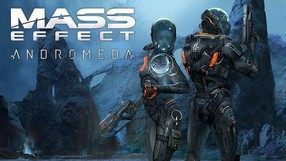 Similarly to Mass Effect 2, we can continue playing with a character that completed the previous entry in the series, retaining all of his or her experience. The gameplay mechanics have avoided major changes, although they did become more dynamic and arcade. The introduction of a multiplayer mode and linking it directly to the story campaign is the game's biggest novelty. 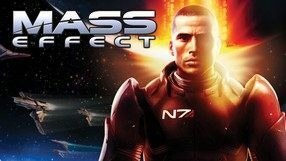 A sequel to the bestselling action RPG developed by BioWare, continuing the story of Commander Shepard, who nearly lost his life attacked by a mysterious enemy after having beaten the Reapers during the final moments of Mass Effect. Restored to life by an enigmatic organization called Cerberus and considered rogue by his former allies, the protagonist assembles a team of daredevils capable of facing a new threat: the Collectors. In the game, we meet both the characters we met in the prequel, as well as a cast of entirely new heroes with unique physical and biotic abilities. As far as the gameplay mechanics are concerned, greater emphasis was placed on action elements, including a new, dynamic combat system. Character development and the equipment screen were, in turn, slightly simplified. What’s interesting, we can transfer our character from Mass Effect 1 to play the game. In such case, all moral choices will carry over and have some sort of consequences in Mass Effect 2. 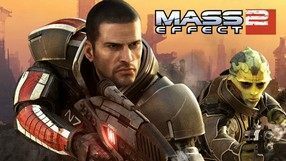 A two-dimensional action game with RPG elements, designed for mobile devices owners, embedded in the universe of the best-selling game Mass Effect by BioWare studio. In the production we play the role of Jacob Taylor's former alliance agent, who tries to thwart the plans of Batarian terrorists. The gameplay is divided into a top-down skillfulness part and numerous feature scenes, during which we talk to key independent characters. A science-fiction action RPG developed by BioWare, the creators of such cult games as Baldur’s Gate and Neverwinter Nights. The story takes place at the end of the 22nd century. The players assume the role of Commander Shepard, the first human Spectre agent, tasked with the mission of stopping a rogue Spectre - Saren Arterius - after the protagonist discovered that his opponent had allied himself with a terrifying foe: an ancient race of intelligent machines called the Reapers, whose only objective is to wipe out all sentient organic life in the galaxy The game skillfully combines classic RPG elements with the premises and gameplay of a modern action game. Apart from exploration, numerous dialogues, various quests and moral choices, the game features dynamic, tactical combat, where we lead a 3-member squad. The game awards us with experience points to develop our characters and enhance our arsenal of futuristic weapons and gadgets.